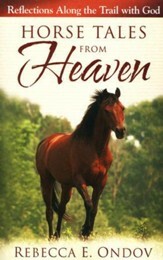 Enjoy a heartwarming collection of true stories that celebrate God's gift of horses! 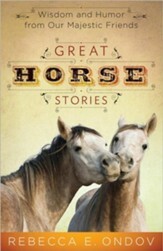 With contributions from well-known authors---including Lauraine Snelling, Susy Flory, Rebecca Ondov, Wanda Dyson, and Sarah Parshall Perry---these tales of the regal beasts and the people who love them are touching, humorous, and miraculous. 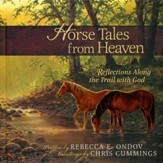 A great gift for every animal lover! 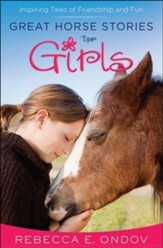 224 pages, softcover from Revell. 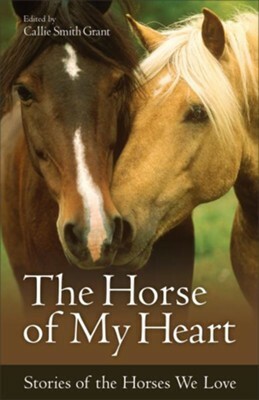 With contributions from well-known authors such as Lauraine Snelling, Susy Flory, Rebecca E. Ondov, Wanda Dyson, and Sarah Parshall Perry, these true stories of horses and the people who love them are sometimes touching, sometimes humorous, and sometimes miraculous. As she did in her dog and cat story collections, Callie Grant Smith has compiled another perfect read for animal lovers--this time with horses as the subject. I'm the author/artist and I want to review The Horse of My Heart: Stories of the Horses We Love.